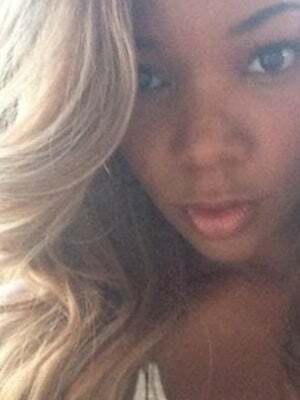 Gabrielle Union has ditched her signature dark locks for a light shade of honey blonde, according to her post on Instagram yesterday. The move is apparently for a new role, according to Union's caption on the photo ("New Day, New Job... New Do"). Of course, the new 'do could be a wig, but either way, we think the new shade looks stunning on Ms. Union. Plus, has anyone else noticed how completely incredible the 40-year-old actress looks in her self-shot close-ups? Let's go ahead and let that sink in: Gabrielle Union is 40 and looks not a day over 22. Either Union is really good with her filters, or we need to get the deets on her skin care routine, like, yesterday. What do you think of Union's new, lighter locks?